GTAP Royal Canadian Mounted Police E Division Headquarters | TROX USA Inc.
Inefficiently scattered throughout Metro Vancouver the Royal Canadian Mounted Police (RCMP) E Division headquarters needed a new location. Designed by Kasian Architecture and financed with the help of the Green Timbers Accommodation Partners (GTAP) the new RCMP E Division headquarters are located in Surrey, British Columbia and houses up to 2700 employees. The $966 million and 819,081 square-foot project consists of three, 7-story units and will meet the LEED® Canada Gold certification as well as the BOMA BESt (Building Environmental Standards), a canadian program for energy and environmental standards. 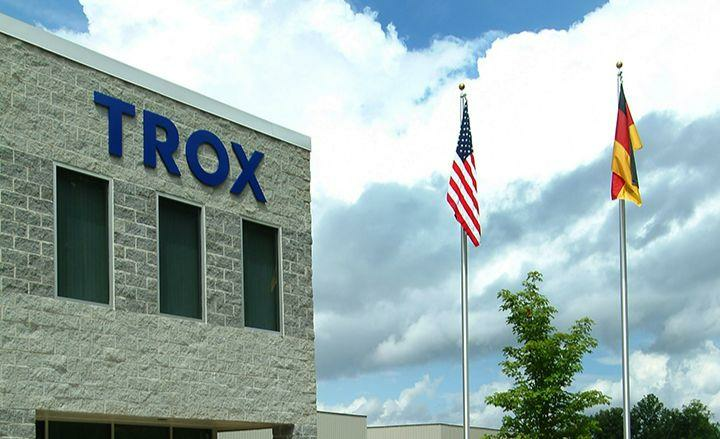 For this project TROX USA provided active chilled beams Type DID632. The chilled beam system is very energy efficient, reduces large ductwork and plant room and AHU sizes. Due to no moving parts it is also much quieter than a traditional cooling system. Due to the sustainability features such as the TROX USA chilled beams, efficient lighting systems and other environment friendly technologies the college expects about 22 percent less energy usage than a comparable building of this size and nearly $160,000 annually savings in utility costs.